Farmers have always played important role in our nation as they provide food to the population, also contributing to the economic growth of the nation. Empowering the farmer is the strengthening of the nation’s economic. They are those who feed world’s largest population with food but they also provide energy as in the form of renewable energy. In fact, Farmer can produce an alternative energy from solar panels and they can use it on their own farm, or if they have excess, resell it to the power grid company provide the farmer with additional income. Supply of electricity in the industries and growing population requires more and more, thus the generation of electrical power is also needed to increase. Power Grid Company can provide electricity that is not enough to control the farms for irrigation, even that would be very worst when summer will fall, the requirement of water is more. Thus needy of the electricity requires more, but the supply of electricity is not guaranteed on time. Most of the farmers are using the electricity irrigation system with the 3phase and 440-volt power supply and in some rural place where they are using diesel engines. Solar energy is likely one of the easiest ways for a farmer to produce electrical energy. All that is required is land for raising the solar panels. In fact, the farms usually have enough space is directly under the sun, any ideal place in the farm to install a solar photovoltaic penal system such as near to a bore well or pond where surrounding space is not used utilizing that place to installing solar panel will be a good choice. Thus the use of solar energy in agriculture is becoming popular and the excess energy produced from this renewable source can be resell to the local power grid company and providing a farmer with extra income. 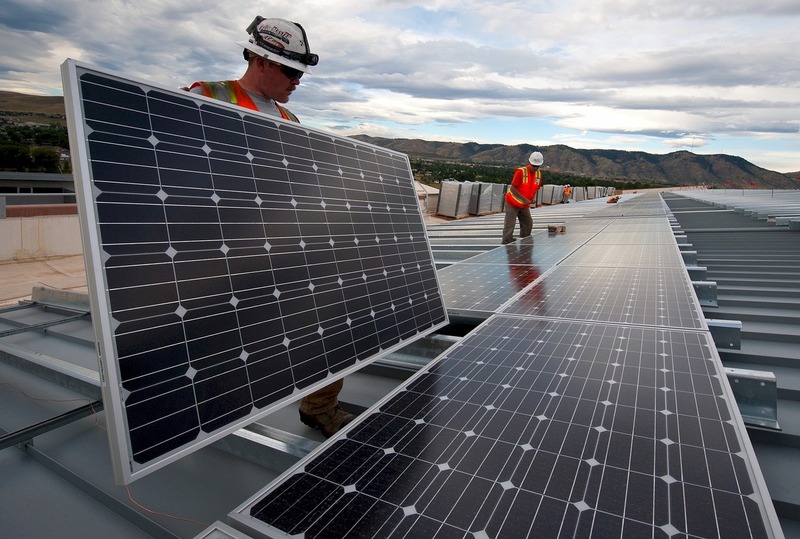 Solar power is likely one of the easiest ways for a farmer to produce electrical energy. All that is required is land for raising the solar panels. 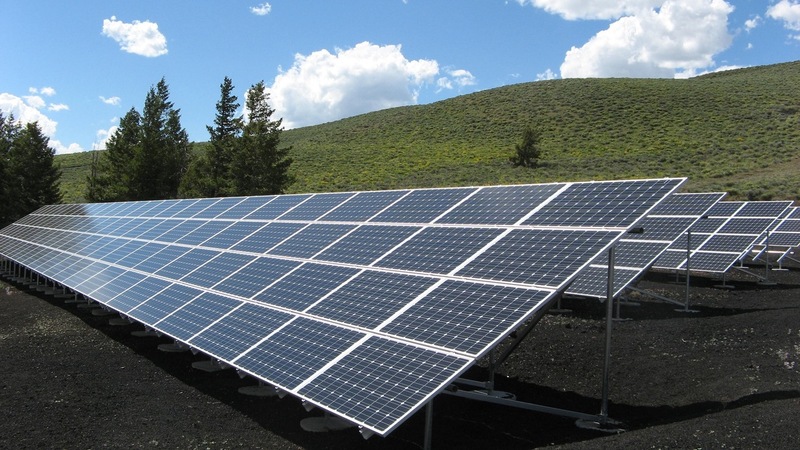 In fact, the farms usually have enough space is directly under the sun, any ideal place in the farm to install a solar photovoltaic penal system such as near to a bore well or pond where surrounding space is not used, utilising that place to installing solar panel will be a good choice. Thus the use of solar energy in agriculture is becoming popular and the excess energy produced from this renewable source can be resell to the local power grid company and providing a farmer with extra income. In irrigation system, a pump set is used for transport of the water from a bore well or from a pond to crops. In Solar irrigation system water pump set is running on solar panel, where solar cell receives radiation from the sun and convert it into electrical energy which is then caters the electrical motor driving the pump. In traditional irrigation system, water pump sets require electrical power from the local electricity grid or diesel engine. These two systems have disadvantages over solar pumps. Using the solar energy over these two traditional systems, the farmer will save a lot of money on the electricity bill and feeding diesel and requiring little maintenance. In rural places, access to the electricity is not always guaranteed, when it actually is needed. In this condition saving the crop from drying, the farmer should not rely on the traditional system. Therefore, using solar powered irrigation system is an alternative energy source to feed the water to crops saving it from drying. The Solar irrigation system in a farm hence farmer have an independent energy source that can feed the crops. Major farmers are heavily dependent on deep bore well or well or pond water sources where submersible pump are being used. Solar water pumping system is capable of running all type of electrical water pump systems, such as submersible or surface water pumps. A photovoltaic array (PV) module of 4800 Wp (watt peak) with 10 HP solar submersible pump can lift 40,800 liters of water from 100 meters (328 feet) deep bore well. There is myth around that solar panel does not generate power (electricity) in monsoon season (rainy or cloudy). That certainly not true, indeed, generation of electricity from solar panel would be lower but certainly not zero, the cause of lower generation is due to less availability of solar radiation. In summer and winter season availability of sun radiation is more; hence the power generation is more. 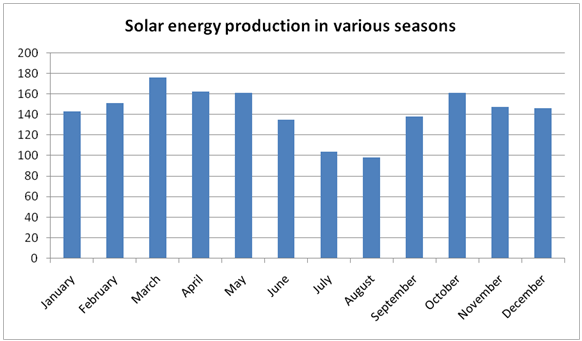 Following graph displays solar power generation in various seasons. Solar power system is relatively expensive, but the source of energy is free. After the installation period, there would not any operative cost but requiring little maintenance. Therefore solar powered irrigation system pumps considered to be a long-term investment for the farmer and gives side income when excess power is resell to power grid.